Many children require sedation for dental treatment given their age, temperament, ability to cope or medical reasons. 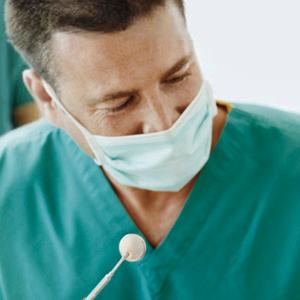 Sedation is usually used when extensive or invasive dental treatment is required. Here is list of the most common FAQ asked by parents. Conscious sedation techniques such as oral sedation or nitrous oxide sedation (happy gas or laughing gas) mean that your child remains awake throughout the dental treatment and this procedure is carried out in the dental surgery. However your child’s perception is altered to make it easier for them to cope with unpleasant, invasive or painful dental procedures. Their “memory” of the dental experience may vary depending on the technique & dose of the drugs used. General anaesthesia means that your child is fully asleep. Due to the increased requirements for safely monitoring children under general anaesthesia, this is carried out in a hospital environment, usually as a day-stay procedure. Children with airway problems including sleep apnoea, loud snoring, large tonsils or adenoids, retruded (small) lower jaws, or children with obesity, have an increased risk of side effects during conscious sedation. Children younger than 24 months also have a higher risk for sedation in a dentist chair. Consequently, some of these children are better treated under general anaesthesia. Fasting is an important part of dental sedation. Certain foods may alter your child’s reaction to conscious sedation procedures. This food may ‘compete’ with the sedative agent being administered, and delay or alter the desired effect. In the case of general anaesthesia, not fasting may compromise and endanger your child’s recovery post-operatively. Children easily perceive anxiety in others, especially anxious parents! 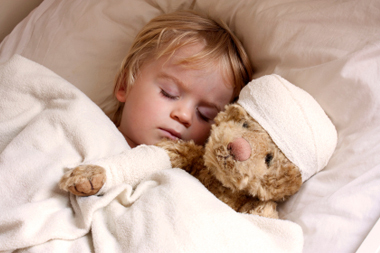 Please assist us by reassuring your child before and after their procedure. Do not use words with negative associations such as needle, pain, or injection. The dentist will explain the procedures to your child, step by step, on the day of appointment. Numbness of the mouth, especially of the lower lip, can be an unusual experience for children. Please remind your child not to bite or pinch the numb lip (or tongue). In the event that your child does bite their lip or tongue, an ulcer will develop. This should heal on its own in 7-10 days. A rare side effect of sedation, particularly oral sedation is the “angry child syndrome”. This side effect is self-limiting once the drug wears off. Depending on the severity of this reaction, treatment may need to be abandoned. Happy Gas or Nitrous Oxide Sedation is an ideal technique for children who readily accept a nasal mask and can breathe through their nose. If a mask is provided to your child for familiarization, please ensure that you bring this one back on the day of treatment. If your child is either congested, has a cold/flu or cannot breathe through their nose, please advice our surgery as your appointment may need to be postponed. Please do not bring other children to the sedation appointment. Your sedated child will require your full attention. Please also be aware that your child will require close supervision for a few hours after the procedure when conscious sedation or general anaesthesia is used. Avoid physical activities such as running around, swimming or other sports on the day of treatment. In Australia, there are special item numbers covering sedation and general anaesthesia defined by the Australian Dental Association. These numbers denote the use either conscious sedation (927 & 943) or general anaesthesia (949). Unfortunately, private health insurance funds choose to give poor rebates or in some cases no rebate at all for the dental fees associated with sedation and anaesthesia. Within New Zealand dental sedation services for children are available privately from some dentists and paediatric dentists. Some publicly funded sedation services are available from some district health boards (Canterbury, Auckland, Whangarei, Taranaki, Whanganui) via a private dentist. Such care must be accessed through the Oral Health Service (formerly the school dental service) www.letstalkteeth.co.nz which will give an 0800 number and information about enrolment your child. Each New Zealand Dental Health Board website provides a list of local Oral Health clinics. General anaesthetic dental services for children can be accessed privately via a paediatric dental specialist or with public funding via the Oral Health Service.